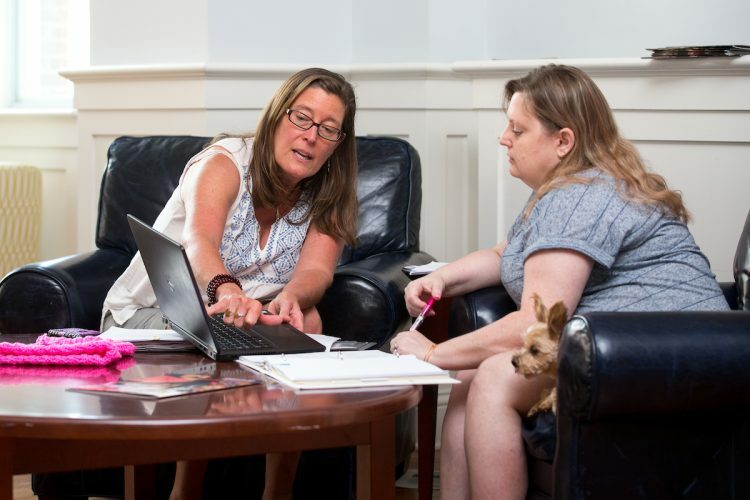 Sociology professor Danielle Currier and Lisa White ’18 discuss their research. When Lisa White ’18 chose to major in sociology at Randolph, she did it with her 14-year-old daughter in mind. Her child was also the inspiration for a Summer Research project she is conducting about feminism and activism. 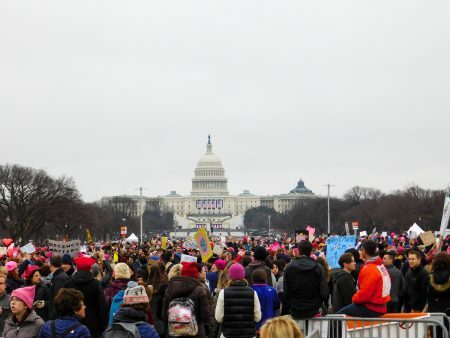 During the eight-week program, White and sociology professor Danielle Currier are studying the sociological aspects of the Women’s March on Washington and interviewing attendees of the massive, historic event that drew millions of protesters to Washington, D.C. in January. The participants they have surveyed are both males and females ranging from 21-66 years old, and include college students, Randolph faculty, and others from rural areas of Virginia. The project is part of a larger study by Currier, who will conduct further research while on sabbatical during the 2017-18 academic year. For White, the Summer Research program was an opportunity to work with one of her favorite professors, learn how to conduct qualitative research, and get a head start on future work of her own. So far, White has learned quite a bit about why people chose to attend the Women’s March, as well as why some who wanted to attend weren’t able. Though she was among those unable to attend, White has discovered that she is still considered an activist, by definition. As a primetime student, White’s husband and daughter have also benefited directly from the Summer Research program by attending seminars and participating in some of the off-campus activities.